Anyone else excited that it’s cooling down a bit? I love autumn — it’s definitely the cosiest season! I’ve already worn knitted jumpers on a few cold evenings and mornings and now I’ve got some new slippers ready to help keep my feet nice and warm too. I’ve always loved wearing slippers and, being Swedish, I grew up with moccasins which are very popular for kids back home. Moccasins are not just for kids though as Moccis make them in adult sizes too — wohoo! 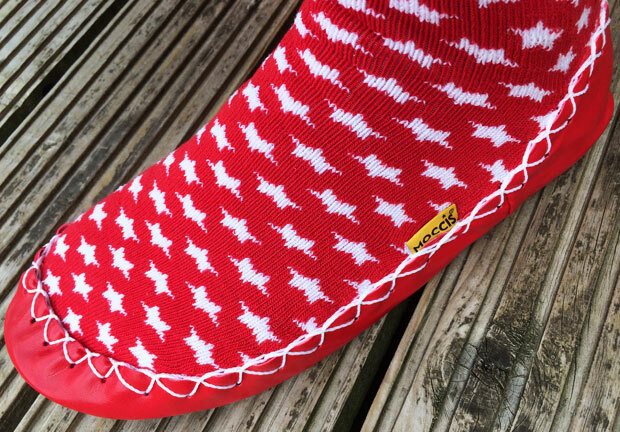 Moccis make luxury hand sewn traditional Swedish moccasins that are functional, fun and stylish as indoor footwear for kids and adults too. If you’ve never seen moccasins before, they’re pretty much a hybrid between a sock and a slipper which makes them very comfortable and just as nice to snuggle up on the sofa in as walking around. Moccasins from Moccis are ethically made in Sweden, podiatrist approved and have a soft leather sole (that’s machine washable!) 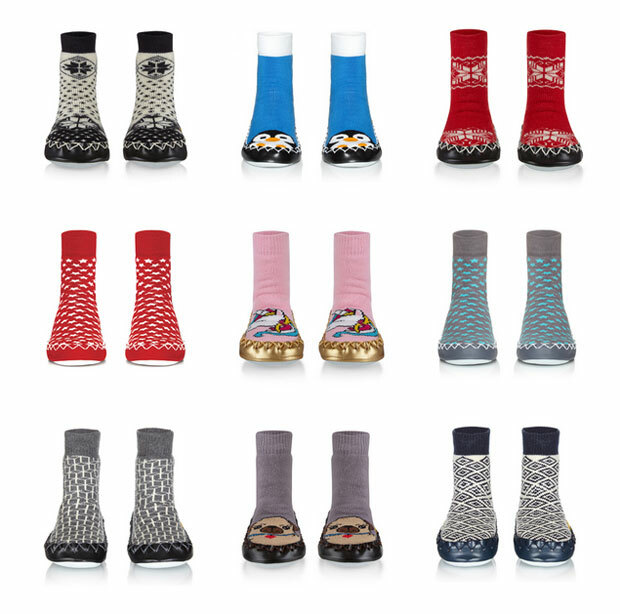 that keeps you from slipping — great for kids and clumsy adults like myself… They’re sturdy yet super soft and comfortable. They’re really comfortable to wear and the non-slip sole is great! I sized up so that I can wear any socks underneath and in case they shrink a bit in the wash. I’ve not washed them yet so I don’t know if they will. These moccasins are high-quality ones that are designed to last — they even have an invisible support strap to keep them on and help them keep their shape. 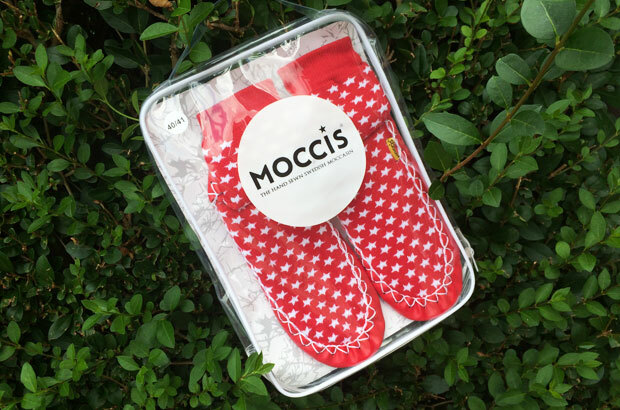 Moccis keep feet nice and warm but also dry and odour free. The only thing I would change is that I would like to see the soles available in a dark colour too — they’re currently only available in light grey — just because a darker colour would stay looking nice for longer. 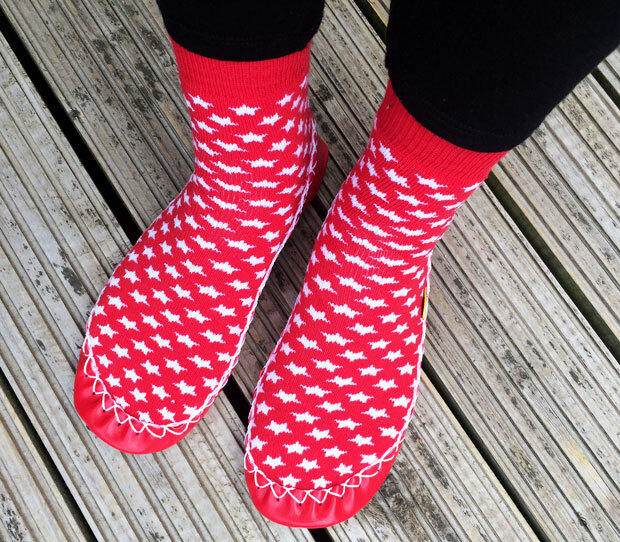 They come in loads of different design and colours and are available in sizes for babies, children and adults. You can find them all here. Sample provided for this review. As always, all my reviews are 100% honest and all thoughts and opinions are my own. Some of the designs pictured will not be available until October 2018.